Honora's Vitality collection gives you a sultry treat for the wrist with this three bracelet set. 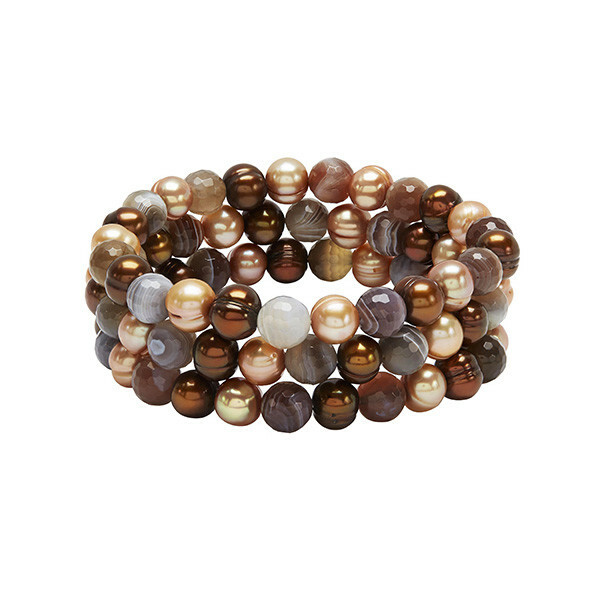 Rich shades of brown and gold freshwater pearls mix with hues of white and grey from agate gemstones to create these amazing pieces. Whether you wear them as one, two, or three bracelets, this set from Honora will provide a beautiful accent for your look.